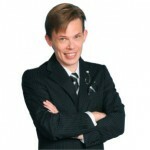 Canadian Magician Aaron has resided in Japan for the past 12 years and performs shows in both English and Japanese. Aaron presents top class magic entertainment that is suited for both small and large events in the Shikoku area of Japan. He also enjoys Tech, Vlogging and more!